If you are unable to attend, please join us through our Zoom webinar. Please click here to join the webinar. In the wake of heightened public concerns over the spread of the Zika virus to the United States and into the Houston area, the Health Law & Policy Institute will hold a public health preparedness program for public health professionals, county and city government officials, and the public. 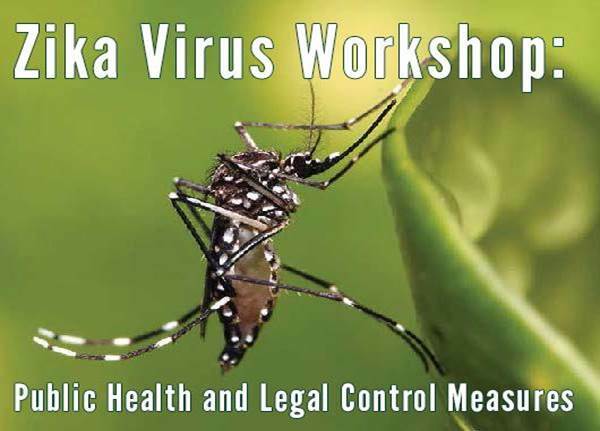 The expert speakers will address the following topics: our current understanding of the spread of the Zika virus and its health effects, including its link to birth defects; public health control measures to slow the spread of the virus, including mosquito control efforts; and legal issues regarding public health control measures and emergencies. participants and speakers at this event. Registration is complimentary, but seating is limited. Reserved parking will be available in lot 19B. The University of Houston is a Carnegie-designated Tier One public research university and an EEO/AA institution. 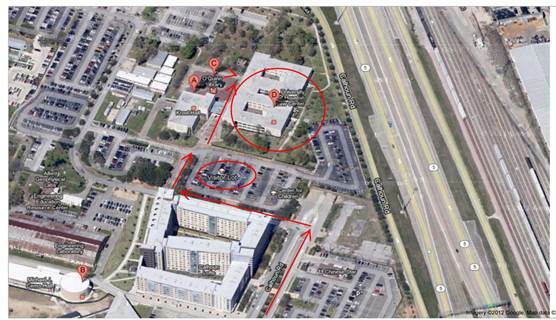 The University of Houston Law Center is located off of Interstate 45, just south of downtown Houston. To reach the Law Center from I-45 northbound, take the Elgin-Cullen/Lockwood exit, turn left at the light, and proceed under the freeway to the traffic light at Entrance 18 where you will take a left. Take a left at the first inner-campus road and follow it as it turns right and turns left depositing you at a three-way stop. Turn left and at the next stop sign, turn right into lot 19B. The Law Center buildings will be on your left behind the bronze statue of Albertus Magnus. Limited metered parking is available to your right in Parking Lot 19B. To reach the Law Center from I-45 southbound, take the Spur 5 exit and follow it to the first stop light (University Drive). Turn right, and proceed past the Campus Wellness Center to the stop light (Calhoun). Turn right, and proceed past Calhoun Loft s to the last entrance on your left before Calhoun “dead ends.” Parking Lot 19B is on your right, with the Law Center complex flanking the bronze statue of Albertus Magnus. Limited metered parking is available.